Curious about where Lector Social Club received all Those stellar books? 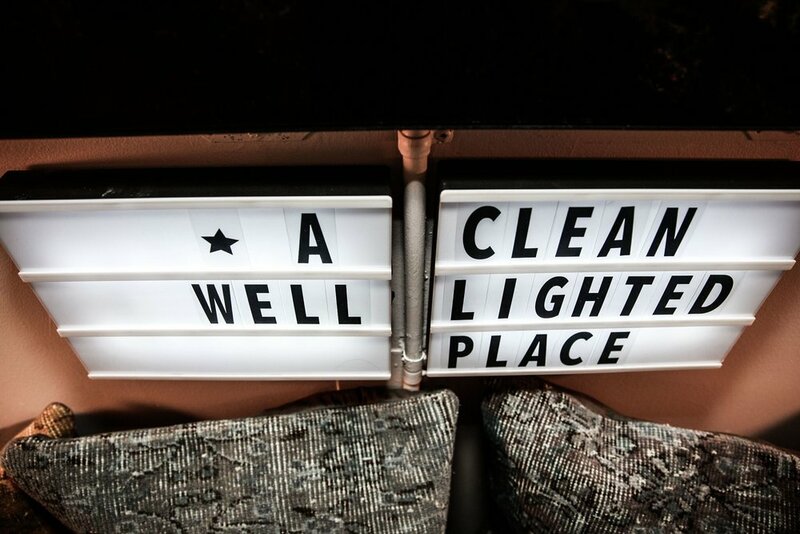 A Clean, Well-Lighted Place was founded to simply be there because "someone might need it," and takes its name from Ernest Hemingway's famous short-story. Membership to the library is and always will be free. All that is needed is your name and an email address that you actually use. After that, you're all set to begin using the library. There are no rules, catches, dues or demands. All that is asked is that you read gently and return your book as soon as you can. Within Lector Social Club in the heart of downtown Tampa at 305 East Polk Street. Lector is natural wine shoppe and event space with a commitment to culture, education, and entertainment. Our name comes from the readers that would share the news and recite literature to the city's cigar factories in the 19th century.